Searching for a loan? We will be glad to assist you! Give us a call today at 602-647-2555. Want to get started? Apply Now. Tighten your belt and save. Scrutinize the budget to find extra money to save for your down payment. You also might enroll in an automatic savings plan to automatically have a set amount from your take-home pay moved into savings. Some effective approaches to build up funds include moving into housing that is less expensive, and staying home for your vacation this year. Sell things you don't really need and find a second job. Look for a second job. This can be rough, but the temporary difficulty can provide your down payment money. You can also get serious about the possessions you actually need and the items you can put up for sale. Multiple small items can add up to a nice sum at a garage or tag sale. Also, you can look into selling any investments you hold. Borrow money from your retirement plan. Investigate the provisions of your retirement plan. You can take out funds from a 401(k) for you down payment or make a withdrawal from an IRA. Be sure to learn about the tax consequences, repayment terms, and any early withdrawal penalties. Request a gift from family. Many homebuyers sometimes get help with their down payment help from thoughtful parents and other family members who may be able to help them get into their own home. Your family members may be willing to help you reach the milestone of buying your own home. Contact housing finance agencies. These agencies provide special mortgage programs to moderate and low income homebuyers, buyers with an interest in renovating a home in a targeted part of the city, and other certain types of buyers as defined by each finance agency. Working with a housing finance agency, you can receive an interest rate that is below market, down payment help and other perks. These types of agencies may help you with a reduced interest rate, help with your down payment, and offer other advantages. The central goal of not-for-profit housing finance agencies is promoting home ownership in certain places. The Federal Housing Administration (FHA), a part of the U.S. Department of Housing and Urban Development (HUD), plays a significant role in helping low to moderate-income buyers get mortgage loans. Part of the United States Department of Housing and Urban Development(HUD), FHA (Federal Housing Administration) helps individuals get FHA provides mortgage insurance to the private lenders, making the buyers eligible for a loan. Down payment totals for FHA mortgages are less than those of traditional mortgage loans, although these mortgages come with current interest rates. Closing costs might be included in the mortgage, while your down payment may be as low as 3 percent of the purchase price. VA loans are guaranteed by the U.S. Department of Veterans Affairs. Service persons and veterans can receive a VA loan, which generally offers a low fixed interest rate, no down payment, and limited closing costs. While it's true that the loans are not actually financed by the VA, the office certifies applicants by providing eligibility certificates. You can finance your down payment using a second mortgage that closes along with the first. Often the first mortgage covers 80% of the cost of the home and the "piggyback" is for 10%. The borrower covers the remaining 10%, rather than come up with the usual 20% down payment. In the option of the seller "carrying back a second mortgage," the you borrow a portion of the seller's home equity.. The buyer funds the majority of the purchase price with a traditional mortgage program and finances the remaining funds with the seller. Typically you will pay a slightly higher rate on the loan financed by the seller. 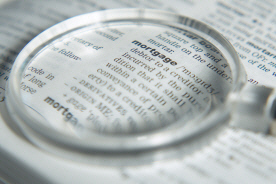 Want to discuss down payment options? 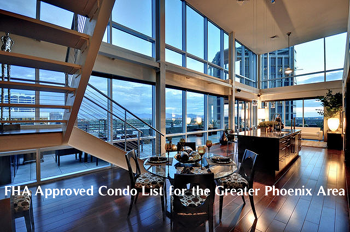 Call us at 602-647-2555.